Academic policies are established by the faculty. Unless otherwise indicated in the College catalog, exceptions to these policies require the approval of the Scholarly Standing Committee. Written petitions for exceptions should be submitted to the registrar for consideration by the committee. It is the student’s responsibility to make certain that all degree requirements are satisfied. A student’s degree program, including the Core and major requirements, are governed by the catalog in effect at the time of the student’s matriculation as a degree-seeking student. Students may make a written request to complete the graduation requirements stated in a later catalog in effect during their enrollment at the College, but they may not mix provisions from various catalogs. In order to be recommended by the faculty for the Bachelor of Science degree, students are required to complete satisfactorily a minimum of 128 credits (including approved transfer credits for courses taken at other colleges) with a minimum cumulative GPA of 2.000, the Common Core, the HSA requirement, the physical education requirement, and a major with a minimum major GPA of 2.000. A student enrolled for at least 12 credits in one semester is considered a full-time student for that semester. In order to qualify for a degree, a student must spend their last four semesters full-time and complete satisfactorily at least 12 credits in the last of these semesters. For those considering study abroad, see Study Abroad . No student may be enrolled at Harvey Mudd College for more than 10 semesters. Voluntary extensions of enrollment beyond the normal four-year course of study are not permitted. To graduate, a student must earn a final cumulative grade point average (GPA) of C (2.000) or better. This cumulative GPA determines rank in class at graduation. In addition, the student must earn a cumulative GPA of 2.000 or better in all courses required by the major, an individual program of studies, or a technical minor for the off-campus major. A student who wishes to graduate at the end of a specific semester must submit an application to do so. This application must be submitted by the date announced by the Registrar. Submitting a graduation application after the announced deadline will delay consideration to the subsequent session. A student is recommended by the faculty for a degree only when they have completed all academic obligations to the College. A diploma is awarded by the Board of Trustees only when the student has satisfied all disciplinary and financial obligations to the College. The Harvey Mudd Student Handbook contains more information regarding student disciplinary obligations in the Non-Academic Graduation Requirement policy. For first-year students in their first semester of residence at Harvey Mudd, all courses numbered below 50 or identified as “frosh-friendly” electives at the time of Fall registration are graded on the High Pass, Pass, and No Credit scale. First-year courses are typically numbered below 50. Lower division courses are those numbered 1 to 99. Upper division courses are those numbered 100 and above. hold its own private deliberation and take action by majority vote. The Scholarly Standing Committee may elect to uphold the grade or to make an appropriate change. Protests about grades in courses taken at other Claremont Colleges are handled by the procedures of the college sponsoring the course, except in cases of alleged academic dishonesty. A Excellent; 4 grade points per unit of credit. B Good; 3 grade points per unit of credit. C Fair; 2 grade points per unit of credit. D Barely passing; 1 grade point per unit of credit. F Failure; no grade points. N The grade given at the end of the first semester of a two-semester course. The final grade is assigned at the end of the second semester. A two-semester course as designated by the Curriculum Committee is defined as a year-long, two-course sequence. P Passing; satisfactory performance and mastery of course material for first-semester, first-year courses and when course grades are given on a pass/fail or pass/no credit basis. Equivalent to C- or better. HP High Pass; superior performance and mastery of course material; first-semester, first-year courses only. NC No Credit; first-semester, first-year courses and when course grades are given on pass/no credit basis. Students must repeat first-year courses until the course is passed. INC Incomplete; the student’s work for the course has not been completed, an extension of time to complete the course has been approved by the instructor and the Associate Dean for Academic Affairs, and a grade has not been reported. W Withdrawn; The course was dropped after the Last Day to Drop. No credit earned, but no impact on the GPA. Grades of A– (3.67 grade points), B+ (3.33), B– (2.67), C+ (2.33), C– (1.67), and D+ (1.33) may also be awarded for courses graded on the letter grade system. There is no grade of A+ or D–. During the course, a code of IP (In Progress) is listed for a course in the grade field for reporting purposes. If no grade is submitted at the end of the course, a code of NR (Not Reported) or NGS (No Grade Submitted) is listed until a final grade is submitted by the instructor. EX Passed by examination; unit credit awarded. WV Waived requirement; no credit awarded, but requirement is deemed to have been satisfied. Does not reduce the number of credits required for graduation. Waived requirements appear on internal/unofficial transcripts only. Computation of Grade Point Averages. Courses graded P, HP, NC, N, or W are omitted in computing grade point averages. A course with a temporary incomplete grade (INC) is omitted from the computation of grade point averages until graded coursework has been finalized and the grade changed (see below for more information on incomplete grading). Any grade of F is included when computing the grade point average, even if the course is taken again with a passing grade. In computing grade point averages for transfer students, all Harvey Mudd courses are counted regardless of when they were taken. Courses at the other Claremont Colleges are counted only if taken while enrolled as a Harvey Mudd student. Courses taken outside of The Claremont Colleges may be counted toward credits required for graduation but do not affect GPA. Grade point averages are truncated after the third decimal place and are not rounded. Incomplete Grade. An Incomplete is given only with the approval of the instructor(s) and the Associate Dean for Academic Affairs. An Incomplete is given only when illness or special circumstances justify the granting of the additional time for completion of the work. A student’s performance in the course up to the time they became ill or when their work was otherwise disrupted is considered in granting an Incomplete. The Incomplete is removed if all work is completed by the time agreed upon by the instructor, the student, and the Associate Dean for Academic Affairs and a final grade has been submitted by the instructor to the Registrar’s office. If the outstanding coursework is not submitted to the instructor by the agreed upon deadline, an Incomplete becomes an F or NC depending on the grading type. Changing of Courses—Add/Drop/Withdrawal. A student may add a course until the official add date for the instructional period for that course, if adding the course will not cause an overload. Permission to overload is obtained from the Associate Dean for Academic Affairs. After the official add date deadline, a student may request a late add by submitting a petition to the Scholarly Standing Committee through the Office of the Registrar. A student may drop from any course without it being listed on their transcript so long as the student remains enrolled in at least 12 credits and the drop occurs before the drop date determined by the academic calendar. If the course is part of the Core Program, the student must obtain the signature of the Associate Dean for Academic Affairs for the purpose of verifying consultation. After the official drop deadline, but before the course withdrawal date, a student may still drop a course, but the course remains on the transcript with a grade of W (withdrawn). The grade of W does not affect GPA or earned credits. After the course withdrawal date, a student may request a withdrawal from a course by submitting a petition to the Scholarly Standing Committee through the Office of the Registrar. If the committee grants the withdrawal, the transcript will show a grade of W under the course in question. If the withdrawal is denied, the student must remain in the course and the grade earned is recorded on the transcript. Completion of Required Course Work. The last due date for the submission of work required to complete a course may be set by the instructor but may not be later than the date set by the Registrar for the final examination in the course whether or not a final is given on the date assigned. Pass/Fail. A student may select one course or the equivalent of 3 credits each semester for which they elect to receive a grade of P (Pass) or F (Fail) instead of a letter grade. However, none of the technical Core requirements or courses applied toward the major may be taken on a pass/fail basis. Not more than one course (or the equivalent of 3 credits) each academic year from among any one department’s course offerings may be selected on the pass/fail basis. (For purposes of this policy, all HSA discipline courses, regardless of college, shall be considered as counting among the HSA department’s offerings.) Courses that are offered only with pass/no-credit grading do not count toward the one-course limit per semester. Approval in writing must be obtained from the course instructor and the student’s course-related advisor and must be submitted to the Office of the Registrar by the published deadline. The selection of pass/fail grading cannot be made after the published deadline. Once approved for pass/fail grading, the course cannot be reverted to letter-grades. A pass/fail course that has been passed is omitted in computing grade averages; the grade of F counts toward the GPA. The grade of P is equivalent to C- or better in a course regularly letter-graded. Students earning a D+ or lower when opting for the Pass/Fail option will receive a grade of F.
Course Deficiencies. First-year Core courses—BIOL023 HM , BIOL052 HM ; CHEM023A HM , CHEM023B HM , CHEM024 HM ; CSCI005 HM ; HSA 010 HM ; MATH030B HM or MATH030G HM , MATH035 HM , MATH040 HM , MATH045 HM ; PHYS023 HM , PHYS024 HM , and WRIT001 HM –must be attempted in the first year and passed before the beginning of the junior year. MATH060 HM , MATH065 HM , PHYS050 HM , and PHYS051 HM must be attempted in the sophomore year. ENGR079 HM must be attempted by the fifth semester. The Scholarly Standing Committee tracks student progress through the Core and notifies students of Core deficiencies (e.g., courses that are dropped, withdrawn, failed, or not appropriately attempted). Students must register for all deficient Core courses each time they are offered. Grade Reports. Grades are viewable online on the portal. Grade reports are not mailed. Academic Advisories. Academic advisories are distributed to students who appear to be having difficulty with their work at the midterm. These advisories are sent to the student, the Associate Dean for Academic Affairs, and the student’s academic advisors. In some cases, the student is requested to meet with their professor or the Associate Dean for Academic Affairs to discuss their progress. Not all instructors send academic advisories, and the absence of an advisory does not indicate strong performance in a course. Students are encouraged to meet with their professor if they have any concerns about their current course status. Many elements of the student’s record, including the academic transcript, are available to the student via secure login on the portal, portal.hmc.edu. For records not available on the portal, students must submit a written request to the Registrar identifying the record(s) they wish to inspect. The Registrar or, at the direction of the Registrar, another appropriate College staff member will make arrangements for access and notify the student of the time and place where the records may be inspected. Applicants for admission who wish to review or to release to a third party their application documents (excepting letters of recommendation) should submit a written request to the Office of Admission identifying the records they wish to inspect. The right to request the amendment of the student’s education records that the student believes are inaccurate, misleading, or an invasion of privacy. Students may ask the College to amend a record that they believe is inaccurate or misleading. They should write the College official responsible for the record, clearly identify the part of the record they want changed and specify why it is inaccurate, misleading, or an invasion of privacy. If the College decides not to amend the record as requested by the student, the College will notify the student of the decision and advise the student of their right to a hearing regarding the request for amendment. Hearings will be conducted by the appropriate College hearing body. Students also have a right to have their personal written statement submitted and retained by the recordkeeper for as long as the objectionable record is retained. Should the objectionable record be disclosed, the recordkeeper must also disclose the student’s statement. Grades are not covered by this right-to-request amendment. The right to consent to disclosures of personally identifiable information contained in the student’s education records, except to the extent that FERPA authorizes disclosure without consent. One exception, which permits disclosure without consent, is disclosure to school officials with legitimate educational interests. A school official is defined as a person employed by the College, one of the other Claremont Colleges, or The Claremont Colleges Services, Inc., in an administrative, supervisory, academic (including faculty), or support staff position (including Campus Safety and Student Health Center staff); a person or company with whom the College has contracted (such as an attorney, auditor, or collection agent); a person serving on the board of trustees; or a person assisting another school official in performing their tasks. A school official has a legitimate educational interest if the official needs to review an education record in order to fulfill their professional responsibility. Upon request, the College discloses education records without consent to officials of another school at which a student has informed the College that they seek, intend to enroll, and are enrolled. Some scholarship donors will require that students authorize disclosure to them of information pertaining to the student’s academic progress. Under limited circumstances, home and cell telephone numbers may be released. The CMS Athletic Department may also release information about a student in compliance with normal practices for “team rosters,” including height, weight, and hometown. Per the Solomon Amendment, the College releases recruiting information to military recruiters. Recruiting information includes directory information that has not been restricted and may include year in school, place of birth, and telephone number. Students may request that their directory information not be released by signing a nondisclosure statement and submitting it to the Registrar. All written requests for non-disclosure of directory information by current or former students will be honored until revoked by the student in writing. Harvey Mudd College assumes that failure on the part of any student to specifically request the withholding of directory information indicates individual approval for disclosure. Graduation with Distinction and High Distinction. These honors are awarded for scholarly achievement at Harvey Mudd College. Students qualify for graduation with distinction if they have earned a cumulative grade point average of at least 3.300 and for graduation with high distinction if their cumulative grade point average is at least 3.700. Alternatively, by vote of the full faculty, students may be selected to receive either award. Graduation with Departmental Honors. The faculty, usually upon recommendation of a department, may award honors to a graduating student for outstanding achievement. Each department’s criteria may be obtained by contacting the department chair. Dean’s List. The Dean’s List is determined after the completion of each Fall or Spring semester. It consists of the names of those students who have obtained a grade point average of 3.000 or better while taking 15 or more credits, at least 12 of which are graded by letter grades (A to F). Those students on the Dean’s List receive a notation on their transcript for the corresponding semester. Letters of Commendation. Letters of commendation may be used to recognize exceptional student achievement in courses. Such letters are noted on students’ transcripts. First-year students with high academic achievement in the first semester are given formal recognition by the Associate Dean for Academic Affairs, and a notation of “superior academic performance” is added to the transcript. The record of every student is reviewed at least once per semester: at the end of each semester and at any other time that such a review seems pertinent. The Scholarly Standing Committee examines the records of those students who are not making satisfactory progress toward a degree. Such students are subject to notification and change of academic status as outlined in the following sections. Criteria for determining “satisfactory progress” include the grade point average in courses required for the major, the overall grade point average, and grades for the latest semester’s work. The notification sent to the student includes the reasons for the action and the prerequisites for return to regular status. A student’s academic standing is considered by faculty members and administrators when hiring or appointing students to time-consuming jobs and to positions where they serve as role models such as proctors, orientation directors and sponsors, graders, tutors, or consultants. Warning. The status “on Warning” is applied to students whose academic deficiencies do not warrant more stringent action. Students placed “on Warning” remain in good academic standing, and no formal notation is made on official transcripts. However, by being placed “on Warning,” students are thereby notified that improved performance is expected. Ordinarily, a student whose semester GPA falls between 1.800 and 2.000 is placed “on Warning.” A student with a Core course deficiency is also placed “on Warning” until the deficient course is passed. Probation. Probation is a formal change of academic status, appearing on official transcripts, and indicating that the student must make substantial improvement or face the possibility of being declared ineligible to re-register at the College. A student on probation is no longer considered to be in good standing. Ordinarily, a student whose semester GPA falls below 1.800 is placed on probation. A student whose cumulative grade point average or semester grade point average is less than 2.000 for two successive semesters. A junior or senior whose cumulative grade point average in the major is less than 2.000. A student who has not passed all first-year Core courses (see Course Deficiencies) before the beginning of the fifth semester. A student who has not attempted all Core courses by the end of the fifth semester. See Course Deficiencies. A student who fails any Core course three or more times. A student who is deficient in a Core course and has not registered for that course as specified in the Course Deficiencies section. Mid-Term Warnings. Mid-term warnings may be given for unsatisfactory progress in a course. Athletic Eligibility. To meet the eligibility requirements established by the College and the National Collegiate Athletic Association (NCAA), students who intend to participate in intercollegiate athletics must be enrolled in a minimum full-time program of study, maintain good academic standing, and sustain satisfactory progress toward a degree. Any Harvey Mudd College student enrolled in 12 semester credits (a full-time student) and not on academic probation meets these “full-time program,” “good academic standing,” and “satisfactory progress” requirements. Any student who has been placed on academic probation is ineligible for participation. All students have the right to appeal to the Scholarly Standing Committee for release from probation prior to the end of the semester. While approval of such a request is rare, the decision of the Committee would be based on performance indicators (i.e. mid-term exams). In accordance with CFR§21.4253(d)(3), Harvey Mudd College will conduct an evaluation of the previous education and training of those receiving Veterans benefits, grant appropriate credit, shorten the veteran or eligible person’s duration of degree course proportionately, and notify the Veterans Administration and student accordingly. In accordance with CFR§21.4253(d)(1)(I), any veteran or eligible person who remains on probation for grade point deficiency below a 2.000 cumulative GPA beyond two semesters, will have their veteran’s benefits discontinued. Certification of benefits will also be terminated. Students may not earn credit on the basis of Advanced Placement exam scores alone. In general even introductory courses at Harvey Mudd go significantly beyond a normal AP course. As a result, success in AP courses does not guarantee advanced placement here, although some departments offer opportunities to be placed into higher-level courses or to be waived from taking certain courses. Placement examinations are offered during orientation and at scheduled times during the academic year. Biology: A placement examination is available for students who feel they have a strong background in biology. Students who pass the examination may take any three-credit Harvey Mudd biology course numbered above 100 as a substitute for BIOL052 HM ; this course should be completed no later than the third semester at the College. Exceptional performance on the examination may earn credit for BIOL052 HM . The placement examination is offered during the first week of the Fall semester only. Chemistry: A placement examination is available for students who feel they have a strong background in chemistry. A high standard of performance earns credit for CHEM023A HM and/or CHEM023B HM . The examination is offered by prior arrangement with the department chair. Mathematics: Advanced placement for courses can be earned by examination prior to enrolling in the course. Exams for Core courses in mathematics are offered in consultation with the appointed placement coordinator of the Department of Mathematics, typically within the first week of the Fall semester. Students may earn waivers for course requirements, but no course credit. Physics: Passing a departmental exam earns credit. Challenge examinations for PHYS023 HM , PHYS024 HM , and PHYS051 HM are typically offered in the Fall semester. Transfer Credit for Coursework Taken Prior to Matriculation at Harvey Mudd: Credit is given to transfer students for course work completed at other colleges that is reasonably equivalent to work offered at Harvey Mudd College. The amount of such credit is determined by the appropriate departments in coordination with the Registrar. As a general rule, online courses are not transferable. Students will be asked to furnish course descriptions to facilitate this evaluation process. Courses underway are evaluated subject to successful completion. Only C or better work is transferable. Some departments may specify a higher minimum grade for eligible transfer or may, at the discretion of the department chair, require the transfer student to complete an exam to determine the preparation of the student in the subject intended for transfer. For transfer students, transcripts are evaluated at the time of admission so that students are informed at the time of acceptance what credit they have been awarded. The grade obtained in a course outside of Harvey Mudd College is not counted in determining the student’s cumulative grade point average. When portions of the required Humanities, Social Sciences, and the Arts (HSA) program remain to be taken, up to half of these may be taken at other Claremont Colleges. In special cases of advanced admission to Harvey Mudd where few, if any, required HSA courses remain, the student must take one HSA course per semester. These are elective courses and up to half of them may be taken at other Claremont Colleges. College-level coursework completed while still enrolled in high school or in the summer immediately following high school graduation is not transferable. AP, IB, and other exam credit granted by a prior college or university does not transfer to Harvey Mudd College. Transfer Credit for Coursework Taken After Matriculation at Harvey Mudd: Students seeking transfer credit for courses taken outside of the Claremont Colleges must obtain permission in writing from the department concerned. For technical courses, the department chair of the discipline of the course must approve the transferability of the course. For courses in HSA disciplines, the student’s HSA advisor must approve the transferability of the course. To ensure transferability, permission should be obtained prior to registering for the course. Upon completion of the course(s), the student must request that the Registrar’s office at the host college or university send an official transcript directly to the Office of the Registrar at Harvey Mudd College. As a general rule, online courses are not transferable. The student must disclose the course format and method of delivery to the department chair (or HSA advisor) at Harvey Mudd when seeking transfer credit approval. Only C or better work is transferable. However, some departments may set a higher minimum grade for transferability. Approved courses are recorded on the student’s Harvey Mudd College transcript and may be counted as fulfilling requirements upon consent of the department chair (or HSA advisor). The Registrar must be notified of any requirements that are satisfied by the transfer work. Credit at Harvey Mudd College for such courses is generally the same as for equivalent courses at Harvey Mudd, except where adjustments must be made by the Registrar to equalize credits (e.g., converting quarter system credits to the semester system). The grade obtained in a course outside of The Claremont Colleges is not counted in determining the student’s cumulative grade point average. Students enrolled in an approved study abroad program during the Fall or Spring semester are subject to the Study Abroad credit policy. Courses taken abroad outside of an approved Fall or Spring semester study abroad program are subject to the transfer credit policy. Eligible students register for most courses themselves via the Harvey Mudd College portal after obtaining the necessary approvals from their faculty advisors and (if applicable) the instructor of the course. Timelines and deadlines for registration are announced each semester and posted on the Registrar’s website. In order to maintain equitable access to Core courses for all Harvey Mudd College students, the Registrar may add or drop courses from a student’s schedule without the student’s consent to ensure that all students are in the Core courses they need to graduate in a timely manner. A student with an unpaid or delinquent account may not register until payments or alternate arrangements have been made with the Office of Student Accounts. A student with financial obligations to the college may also be disenrolled from classes. See the section on delinquent accounts under “General Regulations” for more information. A prerequisite is a course (or in rare cases, a requirement) that must be completed before a student can register for the course in question. A corequisite is a course that a student must either have completed prior to OR be registered concurrently with the course in question. Faculty Approvals. Prior to course registration and whenever course changes are made, students must have their course elections approved by their faculty advisors. Students are assigned a faculty advisor in their first year. That advisor approves course selections until the student declares a major, after which time an advisor (or advisors) in the major department(s) approves student course elections prior to registration. In addition, beginning in the Spring of the first year, students are assigned an additional advisor in the Department of Humanities, Social Sciences, and the Arts (HSA), who must approve all course elections for HSA disciplines. Overloads for First-year Students. First-year students must request permission for overloads through a written petition to the Associate Dean for Academic Affairs. Petition instructions and deadlines are available from the Office of Academic Affairs. Overloads for Sophomores, Juniors and Seniors. For overloads of 19 1/2 credits or fewer: Overload approval requires the signature(s) of your academic advisors and a petition approved by the Associate Dean for Academic Affairs. Approval is granted provided previous semester GPA is at least 3.000 and all advisors agree. Credit needs for graduation within eight semesters. Students are free to make the case for other exceptional circumstances in their petitions. The simple desire to take a course, however, does not constitute an exceptional circumstance, nor does evidence of a student’s ability to “handle” additional coursework. The decision made by the Associate Dean for Academic Affairs regarding overload petitions is final. For overloads of more than 21 credits: Granted only for the justification of credit needed for graduation in eight semesters and only then with the recommendation of all academic advisors. Overload petition forms are available from (and returnable to) the Office of the Associate Dean for Academic Affairs. Course Substitutions. A required Core course may only be replaced by an alternate course in a different area of study with the advance consent of the chair(s) of the department(s) concerned. Petition may be required. A required course in the major may be replaced with a substitution with the consent of the student’s major advisor and the department chair or department committee. Consult the department for the appropriate procedure. The Registrar’s office must be notified in writing by the relevant department chair of any substitution to the student’s program of study. Off-Campus Registration. Students may register for courses open to them in the other Claremont Colleges, many of which use a different method of recording credit than Harvey Mudd College. Full courses taken at Claremont Graduate University, Claremont McKenna College, Keck Graduate Institute of Applied Life Sciences, Pitzer College, Pomona College, or Scripps College receive three credits, except those courses in science and mathematics for which a three-hour laboratory is clearly indicated in the catalog, in which case credit is determined by the Registrar in consultation with the appropriate Harvey Mudd College department. Credit for off-campus courses other than full courses is typically proportional, though exceptions (e.g., for music lessons, physical education, or dance activity courses) may be determined by the Registrar in consultation with the appropriate Harvey Mudd College department. Any course in which a Harvey Mudd College student enrolls for credit, shown in the catalog of any Claremont College, is indicated on the transcript with credit and grades recorded and is included in the calculation of the cumulative grade point average. Research/Directed Reading/Independent Study Courses. Students wishing to enroll in more than 3 credits of research, directed reading, or independent study in a given semester must petition the Scholarly Standing Committee. Thesis research is exempt from this restriction. Foreign Languages. There are no degree requirements in foreign languages. Students planning to go to graduate school, however, are reminded that a reading knowledge of German, French, or Russian may be required as part of a program leading to an advanced degree in the sciences. Further, students wishing to study abroad should plan to develop an appropriate fluency in the language of the country in which they intend to study. A student enrolled for at least 12 credits in one semester is considered a full-time student for that semester. Harvey Mudd degree-seeking students are required to be full-time students, unless special permission is obtained to be enrolled in fewer than 12 credits. A student may petition the Scholarly Standing Committee to be enrolled in fewer than 12 credits (an “underload”); if approved, the student should note that enrollment below full-time status may adversely impact their progress toward the degree and/or their eligibility for financial aid. Students are expected to contact the Office of Financial Aid, the Office of Student Accounts, and their academic advisors prior to submitting a petition to underload. Students are expected to attend all classes and not miss class without adequate reason. The regulation of class attendance is ultimately the responsibility of the faculty. Each instructor has the privilege of establishing specific regulations regarding attendance as may be appropriate for their particular course. Student Absentee Notices. Any student who knows that they will miss a class should contact their professors in advance. Within such notification there should be a plan for completion of missed work. In the case of a serious illness or an emergency, when it is known that a student will miss classes, student affairs staff will send a notice to the professors of those classes. The student or their proctor should contact student affairs with all relevant information, and the student must be seen at Student Health Services. Notices cannot be sent out after the fact, and all missed work must be made up at the discretion of the professor. If a student fails to attend the first two meetings of a course (or one course meeting for courses meeting only one time per week) and the absences were not approved in advance by the instructor, the faculty member of record may ask the student’s Registrar to drop the student from the course. However, students will not automatically be dropped from a course they do not attend. The student may appeal to the home college for reinstatement into a dropped course before the add deadline only in instances when documented circumstances beyond the student’s control prevented the student from attending the course and communicating with the instructor. When a prompt response may be essential, the Dean of Faculty has the authority to intervene in cases in which a student, after warning from the instructor, continues to engage in conduct which results in the substantial impairment of teaching or learning in a course. In such rare cases, the Dean of Faculty will interview the student, the instructor, other students in the course, and any additional persons deemed relevant, to determine a course of action—up to and including an involuntary withdrawal from the course.  The student may invite any member of the Harvey Mudd community to act as an advocate on their behalf. This process is intended to remedy a situation that is disturbing the educational opportunities of other students and should not be interpreted as a disciplinary process. It thus does not preclude a case being filed with the appropriate judicial body by any party that believes the disruptive conduct constitutes a violation of any College code or policy. A student who plans to leave the College should arrange a voluntary withdrawal with the Dean of Students or the Associate Dean for Academic Affairs. Leaves of absence for stipulated periods up to one year may be granted by the Dean of Students or the Associate Dean for Academic Affairs; all students departing on leave will receive a letter setting the terms and conditions under which the student will be permitted to return to the College. A student who has fully withdrawn from the College and wishes to be readmitted must apply to the Scholarly Standing Committee. A student who withdraws or takes a leave of absence from the College before the semester course drop deadline will be noted as having withdrawn or taken a leave of absence with the previous semester’s standing. No courses are listed on the transcript for the semester unless the course was completed before the leave date. A student who withdraws or takes a leave of absence from the College after the semester course drop deadline but by the last day of classes for that semester receives a grade of W in all courses that have not been already graded. The Registrar ascertains whether or not the student was in good standing. A student who withdraws or takes a leave of absence from the College after the last day of classes for a given semester will still receive the grades earned in those courses in which they were enrolled at the time of leaving. Procedures for arranging a leave of absence or withdrawal from the College are further detailed in the “Separation from the College Policies and Procedures” section of the Student Handbook. Under special circumstances, a student may apply to the Scholarly Standing Committee for admission to the Program of Transfer Studies (PTS). The PTS provides a terminal semester during which the student is released from the usual course requirements, including registration in Core or major courses, in order to improve their academic standing and to prepare for transfer to another college at the end of the semester. Readmission to Harvey Mudd after the PTS semester is not permitted.